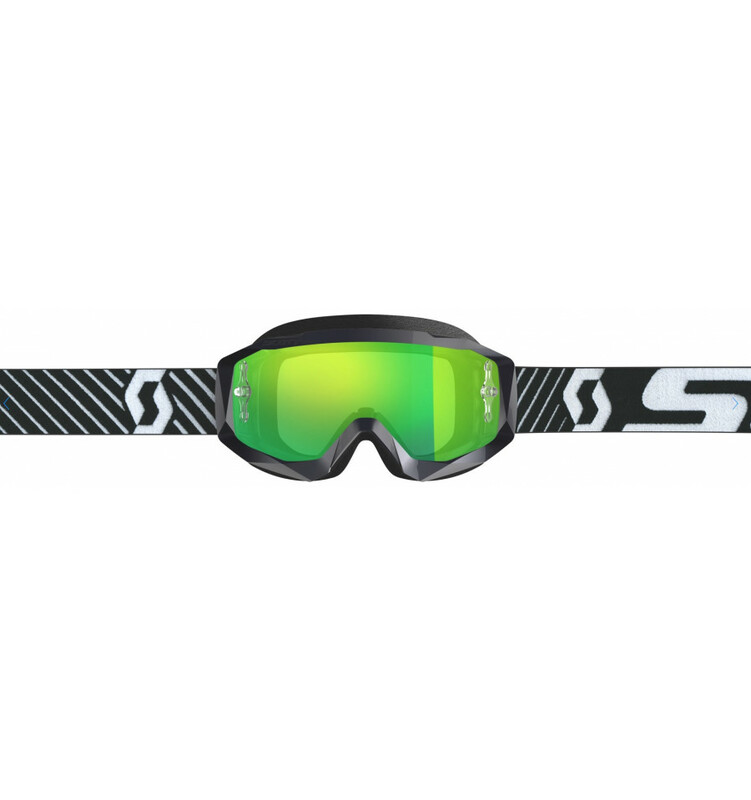 Sköna tuffa crossglasägon med enkelglas och imfri insida. Svart ram med spegelgrön lins. 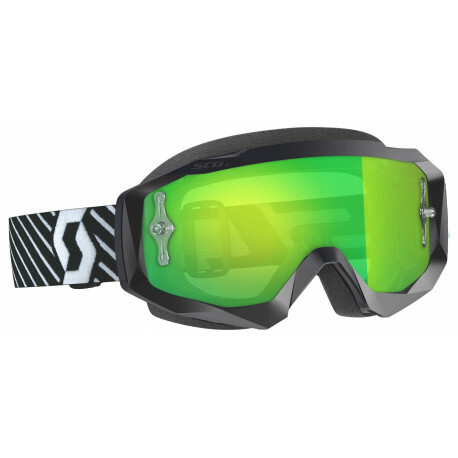 SCOTT took the engineering from the popular Hustle goggle and adjusted its design for the SCOTT Hustle X MX Goggle. The new in-line goggle features a 2-layer face foam and a SCOTT trueview single WORKS lens with NoFog™ Anti-Fog lens treatment. 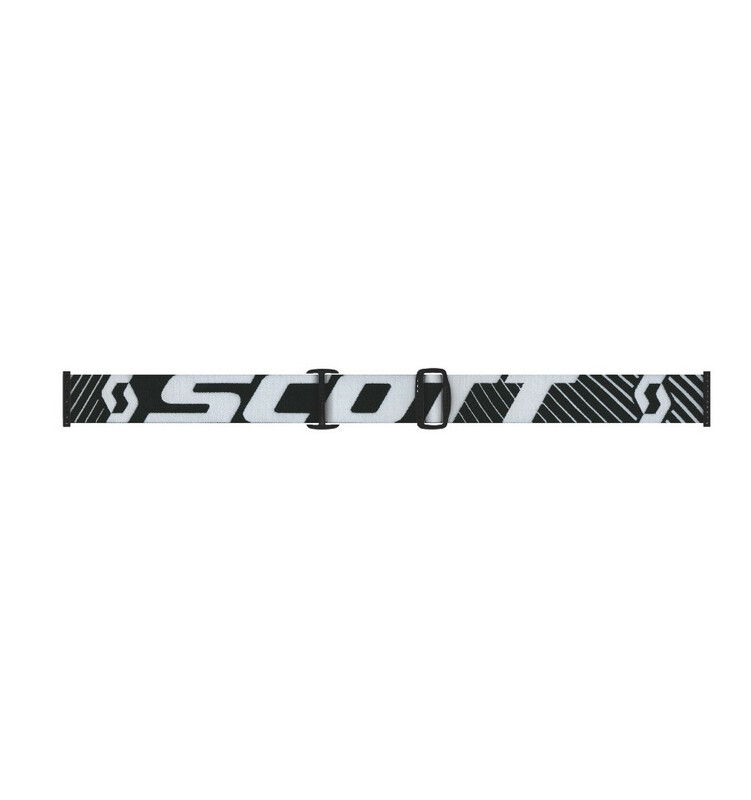 For sure the new Hustle X MX represents all SCOTT know-how packed into a very attractive price. This two-layer open celled face foam with fleece has excellent moisture absorbing and thermal properties, guaranteeing that you stay warm, dry, and comfortable all day.